Here’s the cover! New art, all laid out and ready to go. 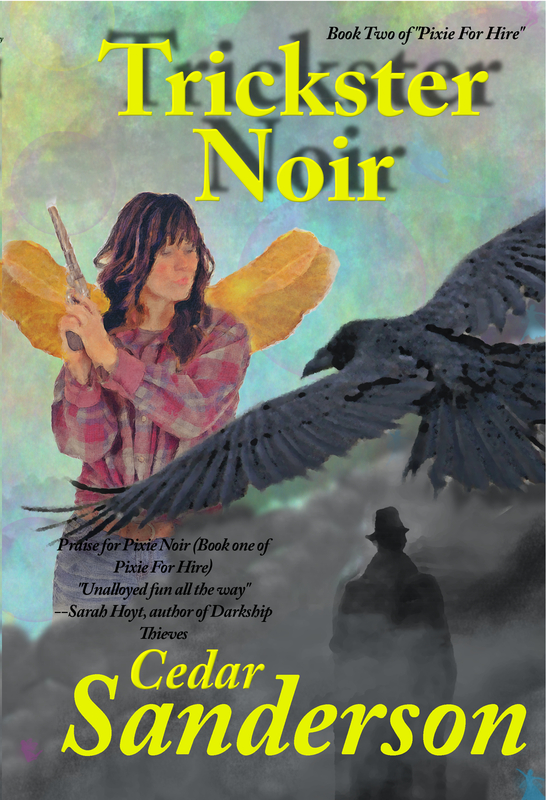 Book two in the Pixie for Hire series, Trickster Noir picks up where Pixie Noir ended. Lom, the little pixie with the tough-guy mentality, has proposed to Bella. All should be well, but their happily-ever-after is in grave danger. Threats from both Underhill and the human realms are closing in on them, and the fairy princess raised Alaskan redneck has to learn on the job, and fast! Back cover blurb: After the battle of Tower Baelfire ended, Lom lay dying. Bella was tasked with not only the job she never wanted, but the one she did. Could she keep Lom alive long enough for him to come to the rescue when their kingdom needed them? And what did Raven, mysterious trickster spirit and honorary uncle to Bella, want with them? If the threat was big enough to have the trickster worried, Bella knew she needed to have Lom at her side. Underhill might look like a soap-bubble kingdom, but Bella and Lom knew there was a gritty underside. Why else would fairyland need a dark man willing to carry a big gun and be the Pixie for Hire? For snippets to whet your appetite, look here. Hi. 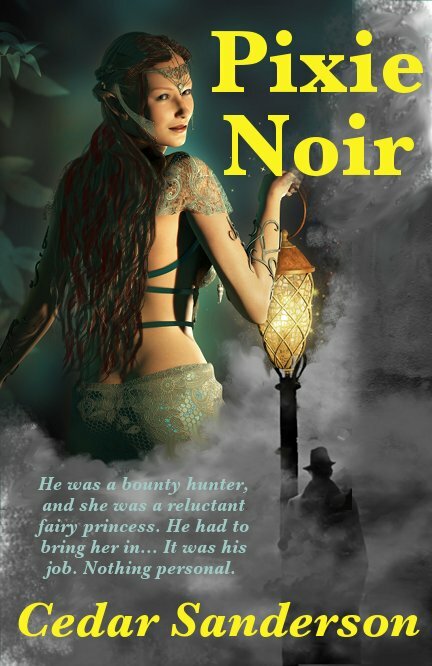 I bought both Pixie Noir and Trickster Noir, loved both of them. I just finished reading Pixie for the second time, and thought I would tell you and anyone else that the books are great. I am looking forward to more of them. I will check out the kittens book as well. Thank you very much! Glad to hear you liked them. Can’t wait for Underworld’s reaction to Beaker and Grandpa Bob at the coronation. Please don’t make me wait long. I will do my best to write quickly, but I don’t plan to have Dragon Noir complete until December, with a release in early 2015. I have two novels scheduled before it. We will see! Very much appreciate the reply. Would one of the two works in progress be an sequel to Vulcan’s Kittens? That would help ease the impatience of waiting for wait for Noir 3. Yes, I’m wrapping up the first draft of The God’s Wolfling this week. It will close out the duology I started with Vulcan’s Kittens. Tentative release date is August, and I will be announcing on the blog. I’ve started to snippet, and will have another snippet on Thursday, I think. Read them both twice. Let me know when ……noir three is ready.